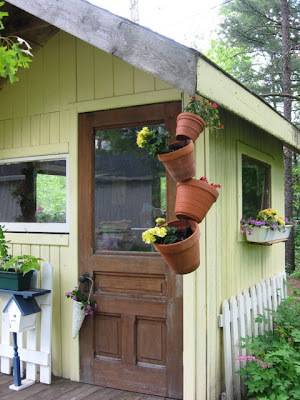 If you are looking for some inspiration to add to your gardens...look around your house and garage, garden shed and the local thrift stores...the possibilities are endless...How about a few ideas! 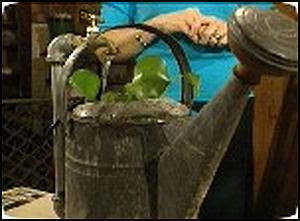 I Desperately need one of these....anyone have a wine cask for me? One day, my neighbor will trim that tree...and I will make this bike.....one day. And look at the sink! Nothing has to go to waste! 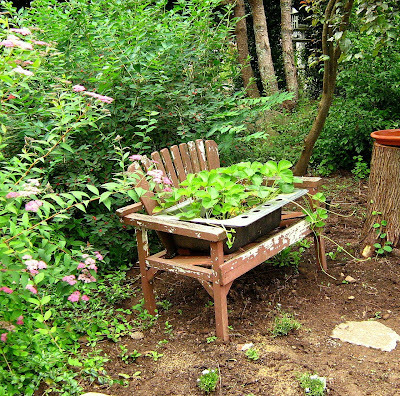 Do you see the little bird bath on the stump? 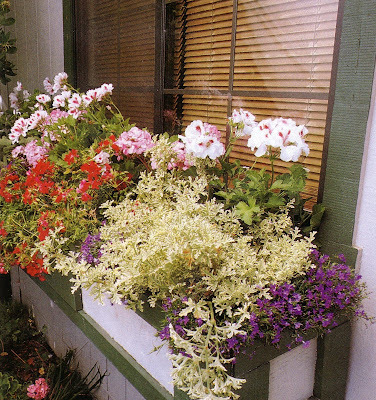 One color will have huge impact in a container, or window box. Not my style...not green enough, but still very interesting. 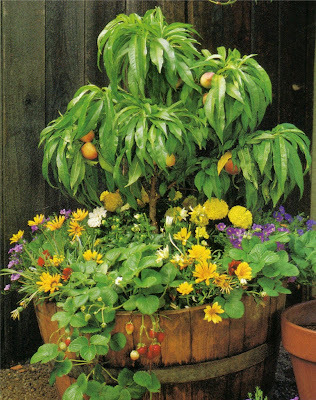 Fruit tree...and more containers...can't you just smell the Geraniums? 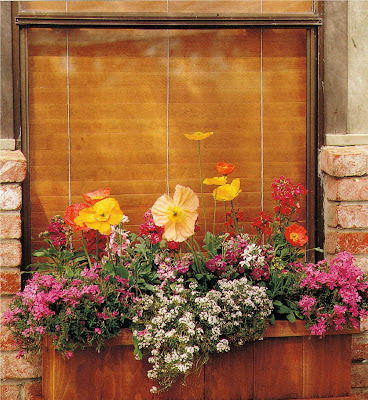 Window boxes dress up any home or building. 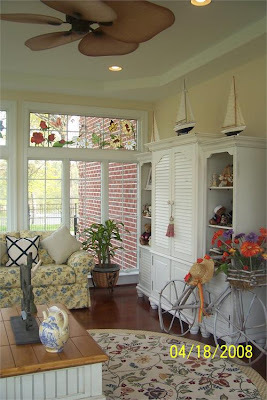 This one screams cottage to me. 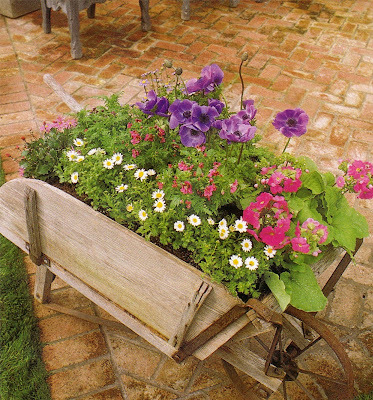 Check out the wheel barrows....I NEED one of these... Could this get any prettier? Now that's different! 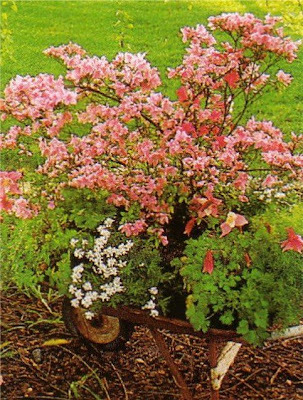 This one would be perfect for "MOM'S" climate! 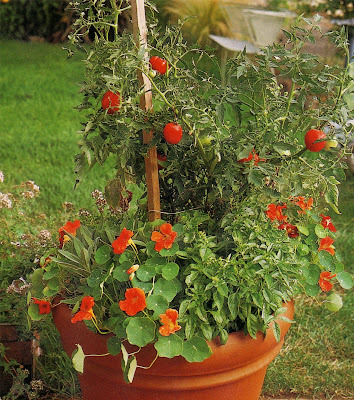 I have the directions for the "tipsy pots" if anyone wants them....how cute! I think you can make them so they stand on the ground too...Might just have to try that! 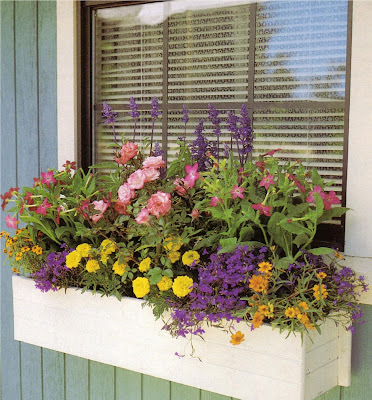 Well there are some ideas that I found in books, and online...the sink filled with flowers is actually in a neighbor of one of my rms friends....I wonder what ideas I can come up with next! Every year I add or change something in my garden...this year I am adding a cement patio to put a table and chairs on. 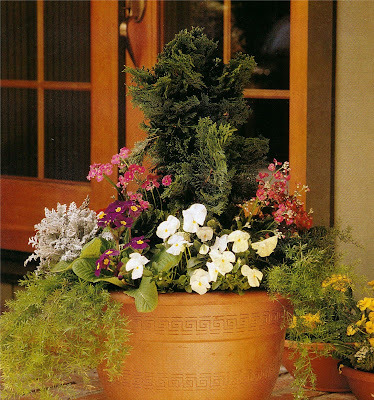 I have decided to use my mold and pour my own cobblestones...(yes I am thinking that I am a little crazy too....) so I will post that as soon as I am done...and you all can help me decorate my new garden room!